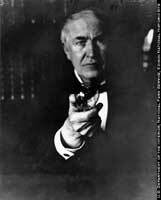 Thomas Alva Edison (born Milan, Ohio, 1847; died Menlo Park, New Jersey, October 18, 1931) held more than 1,200 patents. He invented the incandescent light bulb, the phonograph, and part of the telephone transmitter. Children can learn more by visiting the Thomas Edison National Park website at: Thomas Alva Edison. Holly Keller (born New York, New York, 1942) writes and illustrates books for children. She has illustrated some of her own books, including Geraldine and Mrs. Duffy and Farfalina and Marcel, which received the Charlotte Zolotow Award in 2005. She has also illustrated books by other authors, including Patricia Lauber and Paul Showers. Mo Willems (born New Orleans, Louisiana, 1968) is an animator and a writer/illustrator of books for children. 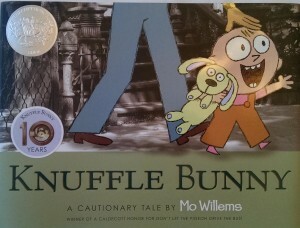 He has received three Caldecott Honor Awards: Don’t Let the Pigeons Drive the Bus in 2004, Knuffle Bunny: A Cautionary Tale in 2005, and Knuffle Bunny: A Case of Mistaken Identity in 2008. He has also received two Theodore Geisel Awards: There is a Bird on Your Head in 2008 and Are You Ready to Play Outside? in 2009. Children can visit his very interesting website at: Mo Willems. Jane Yolen (born New York, New York, 1939) has written over 365 books for children, and she has received many, many awards. Her book Devil’s Arithmetic received the 1989 Sydney Taylor Award. She has received three Golden Kite Awards: The Girl Who Cried Flowers and other Tales in 1974, The Transfigured Hart (Honor Book) in 1975, and Moon Ribbons and other Tales (Honor Book) in 1976. She wrote The Emperor and the Kite, and its illustrator, Ed Young, received a Caldecott Honor Award in 1968. She wrote Owl Moon, and its illustrator, John Schoenherr, received the 1988 Caldecott Medal. Children can visit her very interesting website at: Jane Yolen.